When AT&T rebranded part of its 4G cell service as 5G E, or 5G Evolution, it wasn’t fooling anyone. That’s because, despite claims that 5G E was the first step to a true 5G network, the phones were the same, the speeds were the same, the only thing that had changed was the little icon in the corner of the screen. And now, mobile analytics firm Opensignal has the numbers to prove it. In a recently conducted experiment, Opensignal recorded download speeds of AT&T 5G E phones and standard 4G handsets and then compared them to the download speeds of similar phones on all the other major networks. What Opensignal found is that while 5G E devices on AT&T were faster than their 4G brethren, compared to similar devices on other networks, download speeds for AT&T 5G E-capable devices weren’t any faster than those on Verizon or T-Mobile. In fact, 5G E-capable devices were actually a tiny bit slower on AT&T’s network when compared to everyone but Sprint. 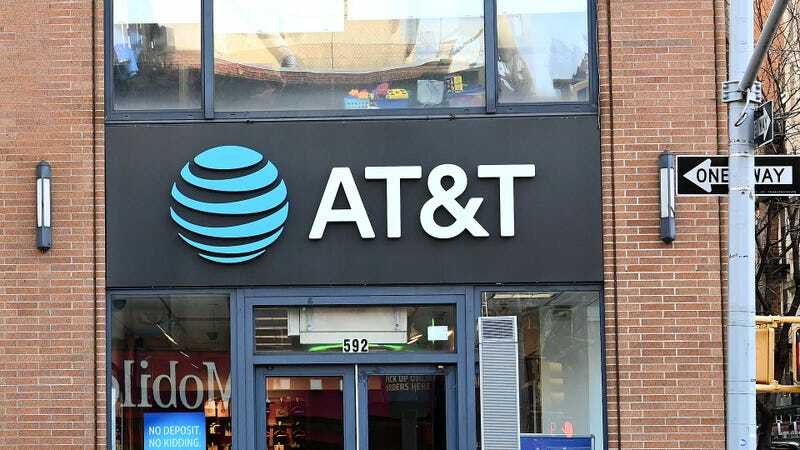 The trick for AT&T is that by bundling more recent LTE Advanced Pro technology such as 4X4 MIMO and 256QAM and classifying them under the umbrella of 5G E, AT&T gets to create the illusion that 5G E devices offer increased data speeds. But they don’t, as these features are built into the devices, and available for use on other networks, as evidenced by the numbers in Opensignal’s graph. Opensignal also added that because both LTE Advanced Pro tech and 5G E aren’t always available due to things like location or other factors, and that the devices it tested all featured similar capabilities, it is still able to demonstrate that 5G E is equivalent to the use of LTE Advanced Pro tech on other networks. OpenSignal’s note reveals their methodology is flawed. Speed test data purporting to show the “real-world experience of 5G Evolution” without verifying the capable devices were tested in a 5G Evolution coverage area as shown by the indicator does not accurately represent the 5G Evolution user experience. The bottom-line is that all of these networks face the same challenges but only AT&T is using branding to make their network seem like it’s something it’s not. AT&T just needs to take the L.
For Sprint, which is currently suing AT&T over its egregious use of 5G, this data could make its legal case even stronger. Meanwhile, for people just looking to get best data speeds on current networks, your best bet is to check category ratings for the modem on a specific cellphone. Phones with a Cat 18 modem like the Galaxy S10 will receive better speeds than older devices with Cat 12 modems like the Galaxy S7 or iPhone 8. (Like most tech, bigger numbers for Cat ratings are better).